Summer Henschel, a dairy science student from Chilton, received the Dr. Larry Satter Memorial Scholarship. Dr. Satter was a world-renowned dairy scientist who served as a long-time campus advisor to AWA. The Dr. David Dickson Scholarship was presented to Emily Franke of Oakfield, who is studying dairy science with a certificate in agricultural business management. Dr. David Dickson was known around the world for his dairy cattle evaluation and coaching skills. He made significant contributions to AWA and mentored many members. Alexis Luedtke, a biochemistry student from Beaver Dam, was awarded the Delma Woodburn Memorial Scholarship. Delma Woodburn shared interest in women’s success in agriculture and provided encouragement and resources to AWA. The Cynthia Benevenga Memorial Scholarship was awarded to Julia Oelke from Merrill, who is studying genetics and genomics with a global health certificate. Cynthia Benevenga was an avid supporter of women’s education and AWA. AWA House Resident Scholarships were awarded to three young women: Alexis Schultz of Watertown, studying agronomy; Catherine Vickerman of Milton, studying genetics and genomics and life sciences communication; and Mena Schmitt of Sun Prairie studying dairy science with a certificate in agricultural business management. Eight AWA Active Member scholarships were awarded to Maria Balbach, Jenna Broege, Meikah Dado, Amanda Gimenez, Amelia Hayden, Stephanie Hoff, Haven Olson and Lindsey Sarbacker. Balbach is from Cuba City and is studying dairy science with a certificate in global health; Broege is from Janesville and is studying dairy science; Dado is from Amery and is studying dairy science and life sciences communication; Gimenez is from Berlin and is studying animal science; Hayden is from Sharon and is studying microbiology; Hoff is from Thorp and is studying life sciences communication with certificates in folklore and entrepreneurship; Olson is from DeForest and is studying animal science; Sarbacker is from Verona and is studying dairy science and life sciences communications with a certificate in agricultural business management. Liz Grady, Emily Matzke and Brooke Moore each received $1,000 scholarships supported by Demeter. Grady is from Oregon and is studying life sciences communication with certificates in agricultural business management and entrepreneurship. Matzke is from Sauk City and is studying animal science and life sciences communication. Moore is from Gratiot and is studying food science. Demeter is a non-profit organization that provides fellowship and supports scholarships for students in the College of Agriculture and Life Sciences and staff. 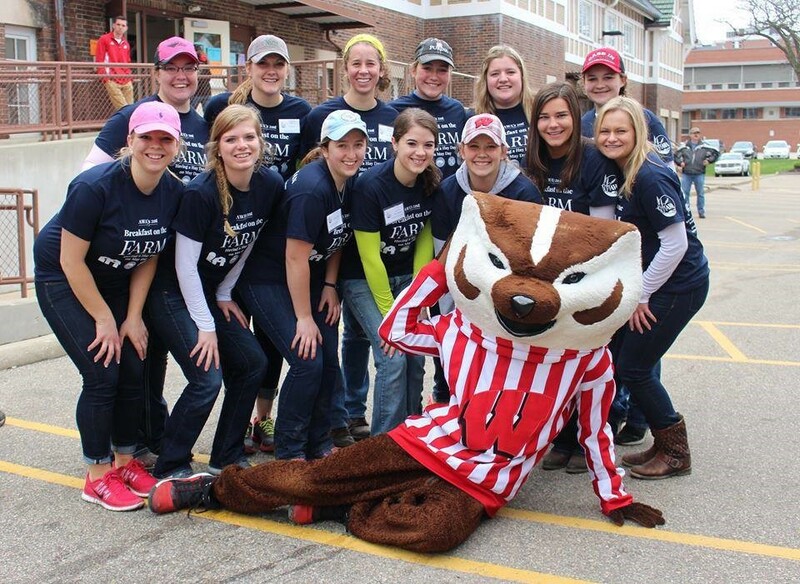 The Association of Women in Agriculture Benefit Corporation is proud to award scholarships to help the student members achieve their goals and support their education at the University of Wisconsin. In addition to the scholarships awarded by the AWABC, two additional memorial scholarships were given in honor of former AWA members. The Nicole Bangart Memorial Scholarship was awarded to Emma Gwidt of Pulaski who is studying dairy science.The award was presented by the Bangart family and Brady Kees. The Kelsey Jo Olson Memorial Scholarship was awarded to Emma Olstad of Stoughton studying dairy science and life sciences communication. This award was made possible by the Olson family.